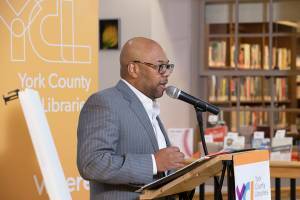 Three York County Libraries have renovation and expansion plans in their future. The project will transform Martin Library, Kreutz Creek Library and Kaltreider-Benfer Library into state-of-the art library facilities. 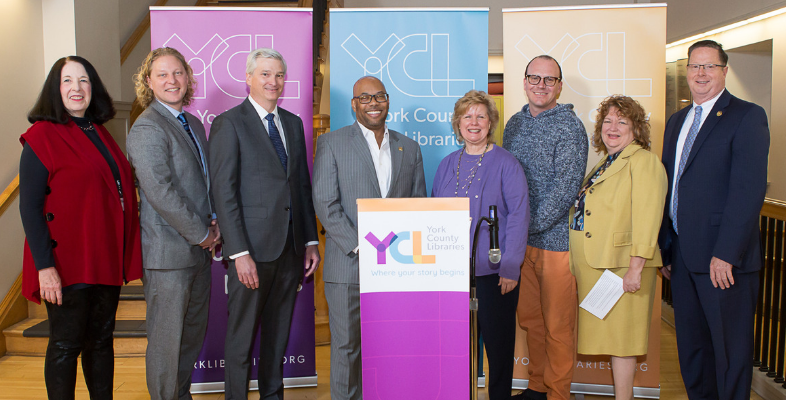 The endeavor marks the first simultaneous, multi-location expansion project in the York County Libraries’45-year history. 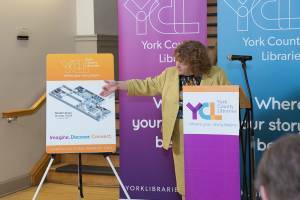 Martin Library, located in York City, will renovate and re-purpose 18,000 sq. ft. of its 68,000 sq. ft. building. Martin Library Director Mina Edmondson talks about the changes envisioned for the second floor. Key changes include improved community space and customer services areas, expanded teen space with digital media labs, and areas for STEM and robotics exploration for children. Energy efficiencies and historic preservation of the building are also part of the project. 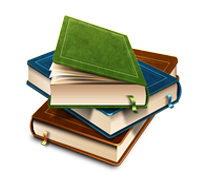 This year, Kreutz Creek Library in Hellam is celebrating its 40th Anniversary. 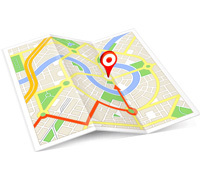 Established in 1979 in a 1,200 sq. ft. FEMA trailer, the library will grow over seven times in size when it moves to the adjacent 8,800 sq. ft. Hellam Township building. PA Representative Keith Gillespie speaks about the impact Kreutz Creek Library has on its local community. Township supervisors voted in March to construct a new facility on their Walnut Street campus and to allow the library to use their current municipal building. The future site for Kreutz Creek Library will feature dedicated children and teen program spaces, open service area, additional computers, seating and meeting spaces. Kaltreider-Benfer Library in Red Lion will be expanding on the Charles Street side of its building and to the rear. Glass and windows will line the two new sides of the building resulting in more natural lighting and improved lighting efficiencies. The 19-year-old structure will expand to 14,000 sq. ft. and will be renovated and repurposed during the construction phase. It will feature dedicated children and teen program spaces and an expanded open service area. 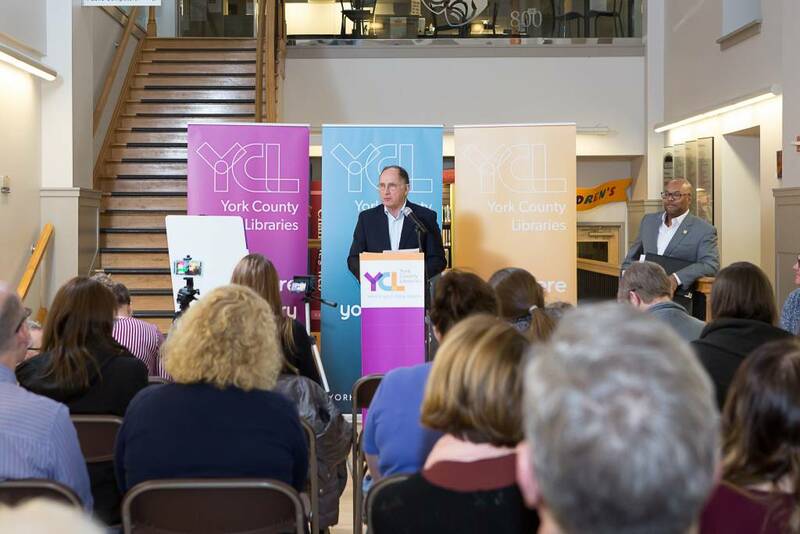 YCL President Robert F. Lambert addresses the crowd gathered at a recent press conference. 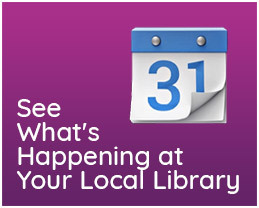 Robert’s listening tour during his first year as president in 2016 is what spurred the growth of these three libraries. 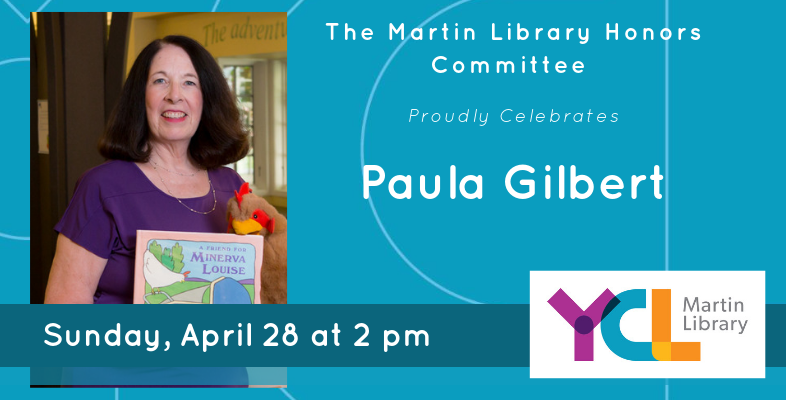 He met with staff and community members at libraries countywide, and the needs quickly emerged. According to Robert, Kreutz Creek, Kaltreider, and Martin required expanded and enhanced facilities to better provide programs that are core to our mission of serving children, teens, and adults. A team of community volunteers are rallying support for the project which includes matching dollars from state grants. 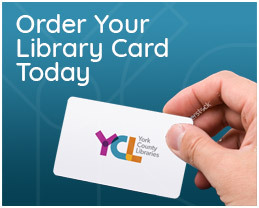 Individuals wanting to learn more about the York County Libraries Imagine. Discover. Connect. 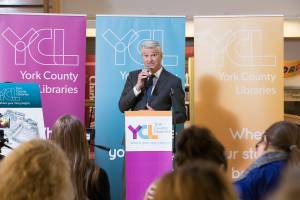 campaign to transform lives and build community can go to campaign.yorklibraries.org.